Presidents’ Day weekend is a great time to purchase sale items on spring and grab some items from winter sales to use later again this year! One of the biggest requests from y’all from my survey was to share more sales going on. My surgery kind of kicked me back for a bit, but I am excited to share some good sales going on during the holiday weekend! I’ll update throughout the weekend if I hear of more shops, so check back! Boden / 20% off sitewide w/code 5M4C + Free ship on orders over $49! I am a BIG fan of T3 tools and love my T3 curling wand. I’ve had it for 2 years now and it was such a great investment. I did a little series on my instagram stories where I shared how 3 and 4 days later I still had curl to my hair. And I did NOT purchase at this great price, so enjoy that for me 😉 This is the set I have and use the 1 inch barrel mostly! One of my favorite items on sale that would be PERFECT for an Easter basket stuffer is the DJECO puzzle for just $6.59 + free ship! These are our favorite puzzles (scarlett has 3 of them) and that is a steal! My Barefoot Dreams Cardigan is on sale and it’s by far my favorite throw on cardi and worth every penny- it’s so soft! Eyeing this adorable eyelet ruffle top for spring! I could go crazy at LOFT. If you are replacing your spring wardrobe, now is the time! This floral top and these eyelet lace up sneakers! I mean how cute are those?! Seriously contemplating picking up these natural wood baskets for the kids since their baskets do not currently match. I typically go with white, but I’m loving the natural wood look. So many Easter goodies are on sale even these precious Peter Rabbit tumblers for just $3! 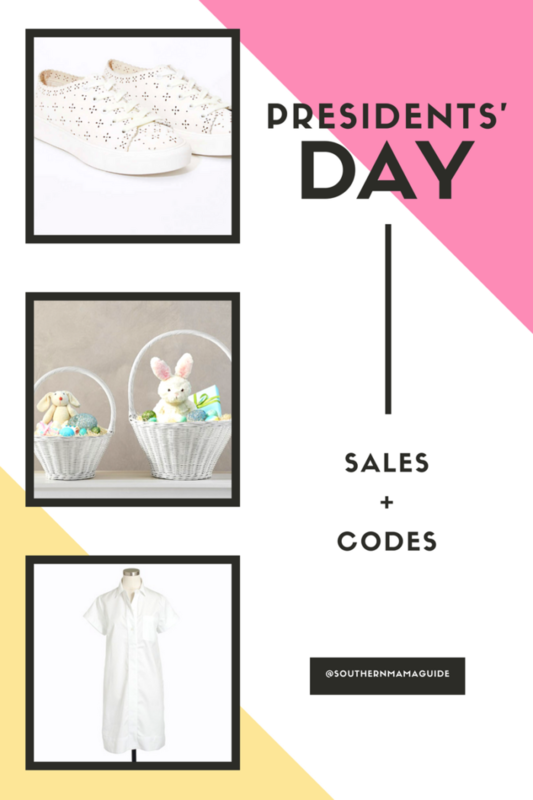 All of the Easter and spring decor is going to send me over the edge because I need it all! Give me all the bunny decor! Currently coveting this bunny tray! All the heart eyes. I picked up this shirtdress in white for just $31! This is perfect for so many spring occasions! The cutest little pink gingham suit is on sale for just $24 and cute little ruffle chino shorts are adorable for spring!